Cooling off today with some sweet penguins! 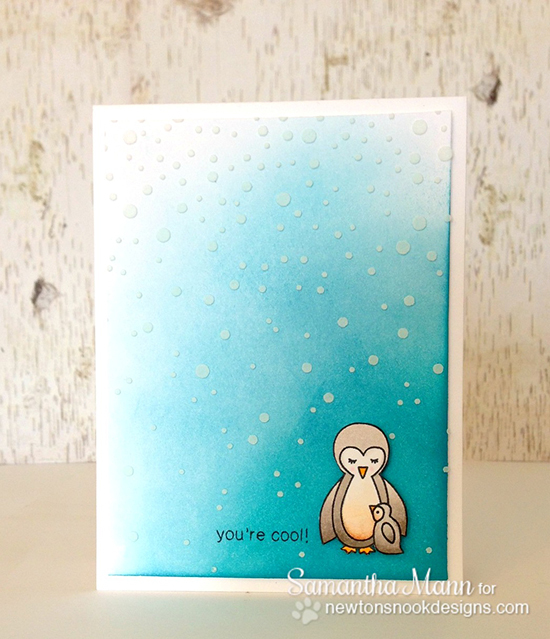 Today I'm sharing this adorable penguin card by Samantha Mann using our Wild Child stamp set! This card is so pretty! I love the ombre blue look over the dotted sky - it really draws attention to the little penguin mom and babe in the corner! I think this would be a fun card for any time of year! Make sure to head over and say hello to Samantha at her blog Sam's Scrap Candy. This is so adorable! I love the way the penguins pop off that distressed background! This card is far beyond adorable! Sam did a GREAT job on that one! This is such an awesome card, that background ROCKS! !